Widely acclaimed and multifaceted American folk artist Tonya Crawford brings her talents to the rug hooking world with her 'folk-art' style. Whimsical and stylish the designs look good wherever they lie. 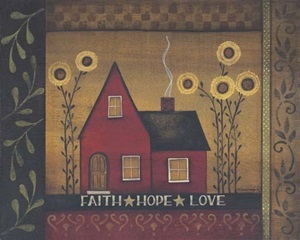 Tonya Crawford's designs are courtesy of special license granted by Penny Lane Publishing Inc.
All patterns are available for Traditional Linen suitable for cuts from #3 - #5. Patterns are also available on Primitive Linen for wider cuts. Contact us for special orders. 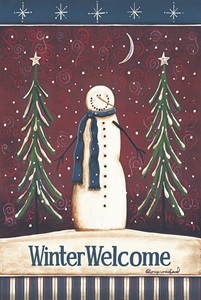 Winter Welcome is a delightful seasonal print that is sure to look great on your wall or under the tree as a present. A delightful print that is sure instill the warmth of the season. 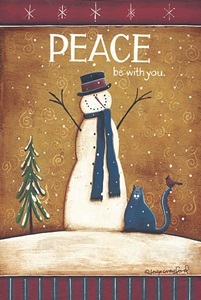 The cat, bird, and snowman make a friendly trio. All patterns are printed on Traditional Linen suitable for cuts from #3 - #5. Also available on Primitive Linen for wider cuts. Contact us for special orders. Muted colours and bordered by paisley patterns make this pattern by Tonya Crawford a beautiful addition to any wall. 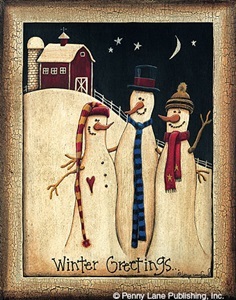 Winter Greetings depicts friendship and love between three snowmen standing in the cold night air. A great pattern for the festive season. 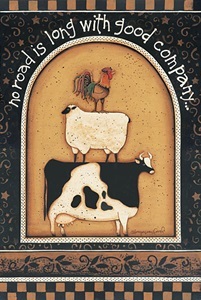 A humorous print with an inspiring message makes this pattern fun to hook. 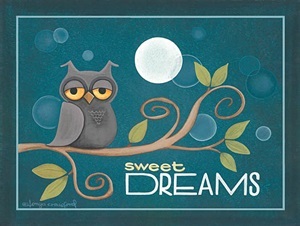 The blue shaded backdrop, the browns of the owl and tree branch and the green of the leaves make this whimsical print great for young and old. 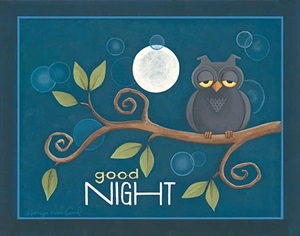 A calming print in blues, Good Night is fun for all skill levels. If desired, shading can be implemented into the art work.